If you’re planning on planting perennials this spring in the Pacific Northwest, the sooner you get the plants in the ground the better! The worst of the frosts are behind us. If cold nights (below 28 degrees) are lingering in your garden, you’ll want to wait a little bit longer. We’ve had unusually dry weather this past couple of months, leaving us with nice crumbly soil in many areas. In normal years, the soil would still be waterlogged and muddy; this year, not so much. As the days get longer and the weather warms, it’s easier to find the time and inclination to get out and work in the garden! Planting perennials now allow them to utilize the spring rains and cooler temperatures to establish a robust root system. This gives them a strong start and makes it easier to care for them through the dry summer months. One of the best parts about planting in March is that the ground is much easier to loosen. If you have ever tried to dig in dry soil during the summer, you know that it can be quite the arm workout. Planting now means that you can get more plants in the ground with far less effort. Weeds are easier to remove, and your gardening experience will be more enjoyable! There will be somewhat less stress on the transplants if you can plant on a cloudy day or in the afternoon. Now that the days are longer, there are more opportunities to spend an hour or two in the garden. Perennials in the burgundy “Blooming Advantage” pot are grown cool. They are acclimated to our PNW environment and are ready to plant in your garden as soon as you get them home. While most perennials benefit from early planting, there are some that will add an instant wow-factor to your garden. Erysimums do not live up to their common name, Wallflower, this time of year. 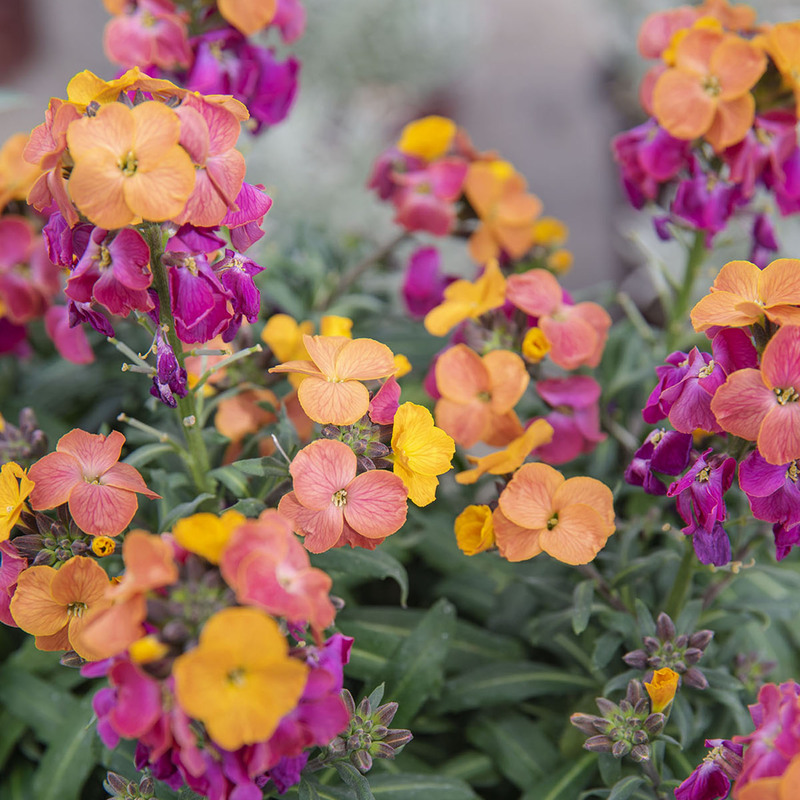 Winter and early spring blooms make these a fragrant cheerful addition to your garden that can’t help but stand out! 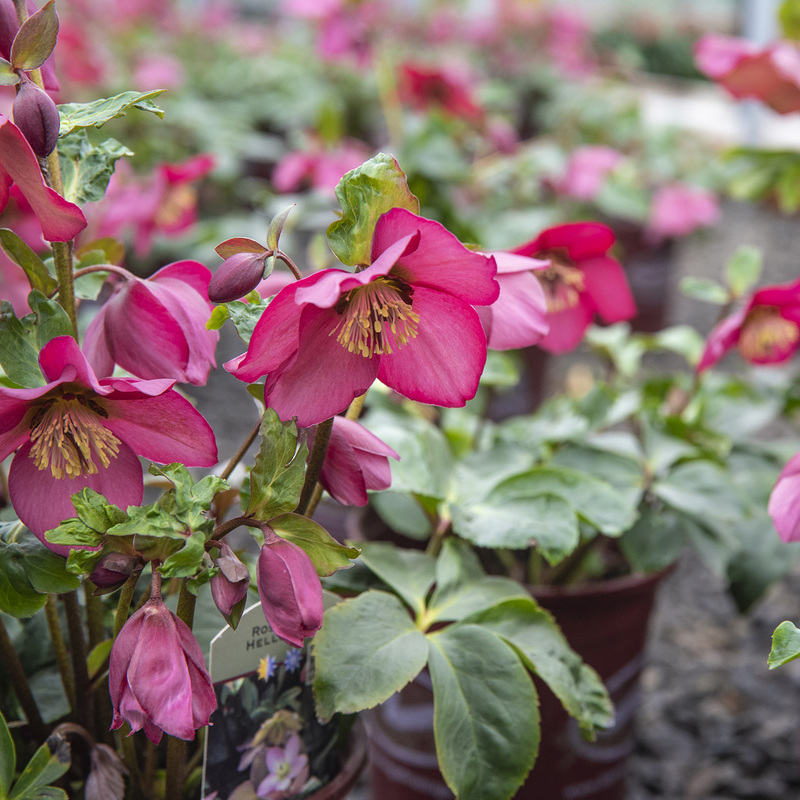 Evergreen foliage and blooms that last from early winter until spring make Hellebores another great addition to your garden. They come in a surprising range of colors from dark red to white and pale green. Aubrieta is the plant with purple blooms that you see spilling from containers or over walls all over town. 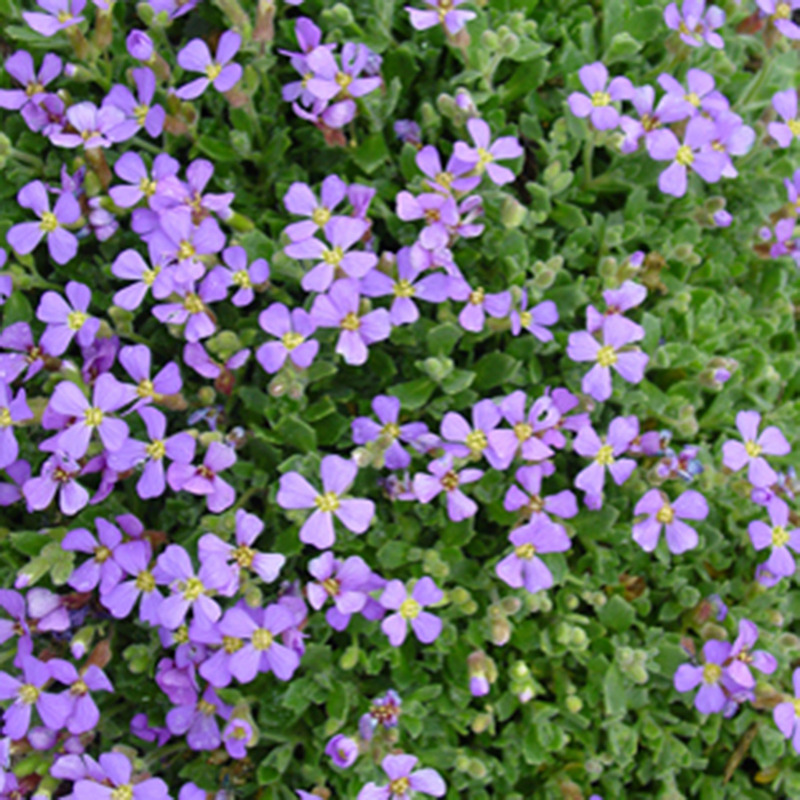 It is a quick growing ground cover that is great to plant in a rock garden, between stepping stones, or along paths. 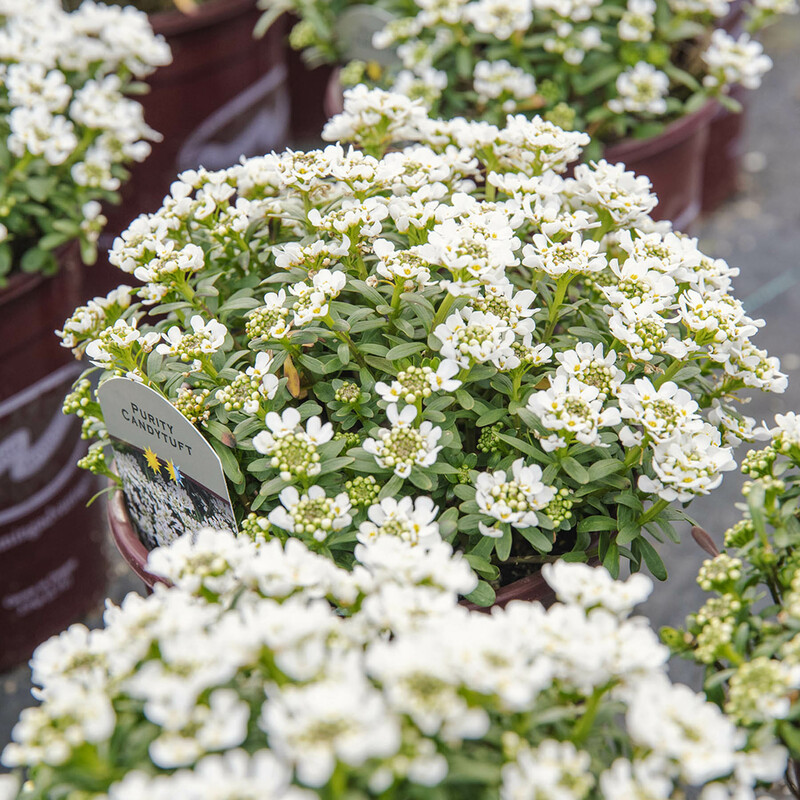 Iberis is a low-maintenance evergreen subshrub that explodes with blooms in the early spring. 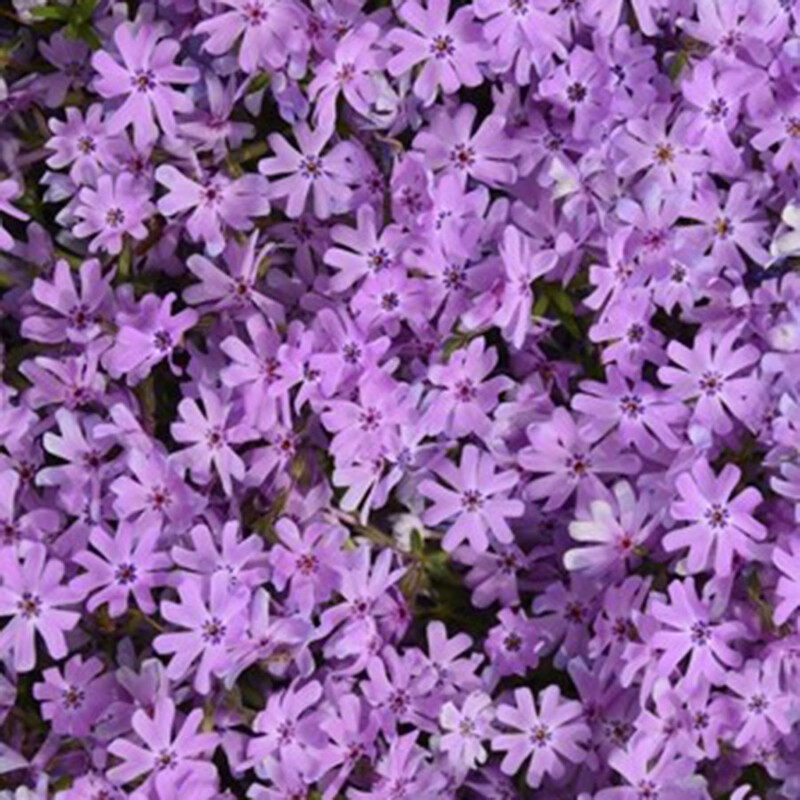 Coming in nearly every color, Phlox has been a mainstay for gardeners for a long time. Phlox, meaning fire or flame in Greek, is a reference to the large cluster of sweet-smelling blooms that appear in early spring.